What are the different types of hoops? 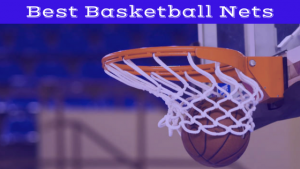 Spalding NBA “The Beast” Portable Basketball System – 60″ Glass Backboard Review: Spalding’s “The Beast” basketball system is the best basketball hoops you’ll find today, especially as a portable basketball hoop. 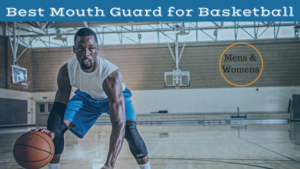 This system is incredibly durable and will last for a very long time, and if money isn’t an issue this basketball hoop is likely the best one to buy period. The system is adjustable from 7.5 feet to 10 feet, and the adjustability of this system is much easier than other systems around the same price. Easy to be moved from place to place is hard to find in systems like this, but you get it with this system as well as a great breakaway rim, 60 inch tempered glass backboard and a 50-gallon base. This basketball hoop is top of the line so that the price will be as well, but you get what you pay for and for a basketball hoop that is this good will warrant this. 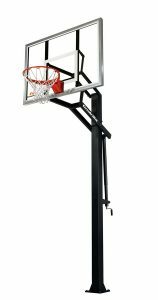 Lifetime 1221 Pro Court Height Adjustable Portable Basketball System, 44 Inch Backboard Review: For the best basketball hoop for under $100, you won’t find a better hoop than this Lifetime hoop. This basketball hoop is no doubt the best if you are on a budget or just teaching your kids the game. It has the standard 7.5 feet to 10 feet adjustable height and a 27-gallon base that fills with water or sand, so if I wouldn’t exactly be trying to imitate Shaq dunks on this basketball hoop, but that is not against the backboard itself. The backboard is one of the most durable around and is considered practically unbreakable, so if you decide to school some neighbor kids, you can use the bank shot all day. Also, this Lifetime hoop has a 44-inch backboard that is perfect for young kids to use, this is the prototypical basketball hoop to have in your driveway that your children will love and use for a very long time. 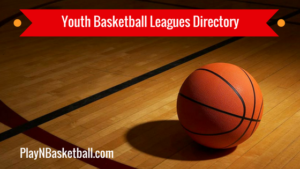 Lifetime 90061 Portable Basketball System, 52 Inch Shatterproof Backboard Review: This basketball system is for someone who is a little older such as teens or young adults and want their hoop to be durable and accessible at any time. This Lifetime basketball system has a 52-inch backboard that is shatterproof, so go ahead and lay the hammer down on this hoop, it can take it. This system is also able to withstand harsh weather conditions, so this would be a perfect basketball system to have outside all year round. The base is only 35 gallons so that it will be extremely stable, but it isn’t too much that it isn’t easily portable. At a superb price for the quality of this basketball, the system is one of the best bangs for your buck systems that can be found, with portability, durability, and the quality that this system has to offer. If you are looking to place this hoop in a driveway, backyard or a gym, you’ll find this basketball system will be perfect for your needs. Spalding NBA Hercules Pro Glide Advanced Lift Portable Basketball System – 52″ Acrylic Backboard Review: Spalding comes with another great basketball hoop, as they should as they are the sponsor of the NBA. This three piece system is a dream for those worrying about installation and is one of the most affordable while still maintaining a high quality as those on this list. This basketball system has a 3.5 inch angled steel pole that makes this hoop different than other basketball hoops that do not have angled steel poles. 39-gallon base combined with two wheels makes this system have protection but is still portable. The backboard is 52 inches by 32 inches by 3.55 millimeter and is a stellar backboard to practice rebounds and can be durable for years; this could be the basketball system for the next LeBron James to grow up with. A good price, a great brand, this basketball hoop is an absolute no brainer to get if you’re in the market. 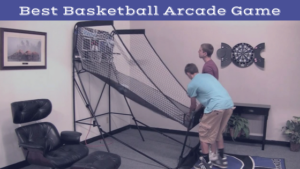 Goalrilla GS In-Ground Basketball Systems with Tempered Glass Backboard Review: The best in ground basketball system you will find on the market today. This hoop offers buyers a 3/8” thick backboard with an adjustable height from 7.5 feet to 10 feet. It allows you to manually turn the system to adjust the height to your desire and is one of the best basketball systems there is. 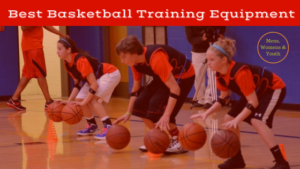 Of course, the benefits within ground basketball system is of course the stability and this system has some of the best stability you’ll find today. Goalrilla Systems offer the stability of being in-ground with the ability to relocate the system if you move which is rare for this kind of systems, the convenience of not having to make this permanent is another great asset of this great basketball hoop. This basketball hoop will not be too kind for your pockets however it is, in my opinion, the best in ground basketball system that you can get. Spalding NBA Portable Basketball System Review: Another top notch Spalding basketball system is right here. This basketball system is intended to be an easily portable basketball system that is close to a replica of an NBA basketball system for your driveway or backyard that isn’t a crazy price. This 3-piece basketball system has a 3.5-inch round steel pole and a front cover that acts as a rebounder. This hoop also contains an Arena Slam breakaway rim and has a 40-gallon base that can be filled with water or sand for stability like most quality NBA style basketball systems. With the portable system, the installation will be much easier than an in-ground system, but the stability of this system is still of an exceptionally top quality. A 60-inch backboard which for most buyers is exactly what you want, unless you are trying to go full on NBA and buy a system that is the NBA regulation backboard at 72 inches, which can be excessive, let’s be honest. Spalding 66291 Pro Slam Portable Basketball System with 54-Inch Acrylic Backboard Review: This hoop will make you feel like you are in the NBA as Spalding makes the lists for another high-quality basketball system. This system has a 54inch acrylic backboard, the acrylic backboard will allow for quality rebounding and is cheaper than getting a glass backboard. The 5/8 inch rim is made to withstand a lot, so there is no worry about dunking and using the Spalding basketball system in the same way you would at a gym, but this one can be in your driveway. The net is all weather proof, so there is nothing to worry about the quality of this system that will wither away after a few years outside, this system will be quality for years to come. Plus, you can always add on one of the best basketball nets as a replacement. A decent price, this hoop is a good but that I would recommend, with Spalding making this system there is very low risk of anything going wrong. Lifetime 71525 Height Adjustable In Ground Basketball System, 54 Inch Shatterproof Backboard Review: A great in-ground basketball hoop that is durable and is intended to be used for those looking for intense play. 54-inch backboard made of Makrolon polycarbonate for shatterproof action makes this the type of basketball system that is needed as an adult or young adult and are looking to dunk on your buddies that come over for a pickup game, but it isn’t the greatest backboard for rebounding. The system also has the Power Lift Height Adjustment Mechanism which makes the hoop easily adjustable to go from 7.5 feet to 10 feet. The Slam-It Pro Rim has double-compression springs which makes it much easier and durable for dunks and contains a weatherproof net like many of these top quality basketball hoops that you should be considering. 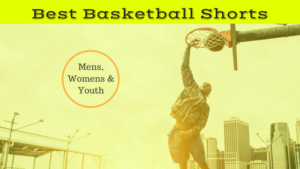 This basketball system easily has one of the best backboards that you’ll find on the market, so if that is one of if not the most important component in purchasing a basketball system, and you like in-ground hoops, make sure you actively consider this system. Silverback 54” In-Ground Basketball System with Tempered Glass Backboard Review: This underrated basketball system is high quality that isn’t too pricey but still isn’t too cheap. The glass backboard is the type of backboard you want for realistic play. This hoop is quality for the money you will spend, and I look for you to be happy with this one, though there could be some better ones on the market at close to the price, this is one that will need to weighted towards others to see which one you may prefer. What does make this hoop excellent it’s safety features with padding on the backboard and on the pole makes this hoop one of the safest basketball systems when you are having an intense play and are feeling like Allen Iverson or Russell Westbrook going to the basket. Branding means a lot and Silverback is a quality brand that has been making systems for close to 100 years but then again it is not Spalding or Lifetime, so though it’s not as known, not worry about this hoop, it’s quality. Speaking of Silverback, here’s a gif of another animal making a dunk. Lifetime 1008 In-Ground Basketball Hoop with 44 Inch Acrylic Fusion Backboard Review: Usually, Lifetime makes quality basketball systems that you can count on for years to come. However, this basketball hoop is not a good one. This in-ground system is adjustable but it not nearly as easy to adjust like the other in-ground systems is that I have mentioned above, which is a downside on some in-ground basketball hoops. Also, the hoop is not durable and if you are to buy this basketball hoop, don’t look to be able to keep this backboard very long as it has been reported multiple times to break quickly and it isn’t a basketball hoop that is conditioned to withstand multiple seasons and weather changes. Only a 44-inch backboard as well, this basketball hoop is not going to be serviceable for younger kids, and even then it may not be worth it. When looking for quality basketball hoops, you can find much better systems at even better prices, don’t pick this one. What to Consider Before Hanging Up a New Hoop? Height Adjustment: Make sure you know whether you want to adjust the height of the hoop or if you want to stay where it’s at. Wanting to adjust the height prevents you from getting an in the ground hoop but can leave you getting a great portable hoop. Backboard Size: The material of the backboard, as well as the size of the backboard is essential to playing the game. Some prefer to go around a 50” backboard, but that is usually a bit on the smaller size. A usually backboard size will be around 54”-60, ” and you can even find backboard the size of the pros which would be 72”. 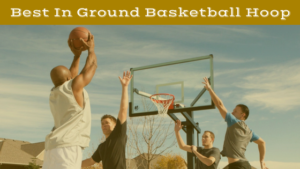 Portable vs In-Ground: First off, the decision on what kind of basketball hoop you want is the most important. This determines what hoop to get. An in-ground basketball hoop will require less space to take up but will be heavier and will need to be installed with cement. While portable hoops have wheels and can be transported to other areas but is usually less stable than in ground basketball hoops. It all comes down to what exactly you want. 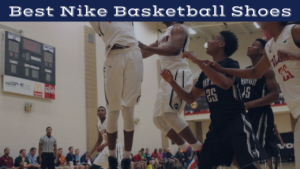 However, as we can see, a few brands absolutely dominates the quality of these basketball systems, and my advice would be to stick with one of these brands. I think a varied amount of basketball hoops at a varied amount of money will allow you to pick one of these systems to buy and be happy and most importantly informed about what you are getting. From portable to in ground, the system is the most important in determining what you want. Backboards are essential to understanding, do you want the best and have a glass backboard? Or would you rather go a little bit cheap and get an acrylic backboard or do you want to get. After reading this, there is no way that this will be you. Please don’t let this be you!